Yeezy season is never quite over. Despite the massive amount of adidas x Yeezy footwear expected to release this year, Kanye took to Twitter this week to share two new colorways of a glow in the dark Yeezy Boost 350 V2. Kanye West partnership with German sportswear giant adidas has taken some interesting turns in recent months. While footwear releases have been few and far between over the Summer, Fall 2018 is rumored to be thick with restocks, releases, and new silhouettes. However, despite all of this, Kanye is still ready to share more upcoming Yeezy information via his highly active Twitter account. Most recently, Ye shared early mock-up images of two potential colorways coming to the Yeezy Boost 350 V2 next year. Both pairs will feature all-over glow in the dark materials and will release in two vibrant colors: green and orange. In addition to Kanye sharing the GITD Yeezys online, his wife Kim Kardashian took some time out of her day to explain the story behind these new colorways. 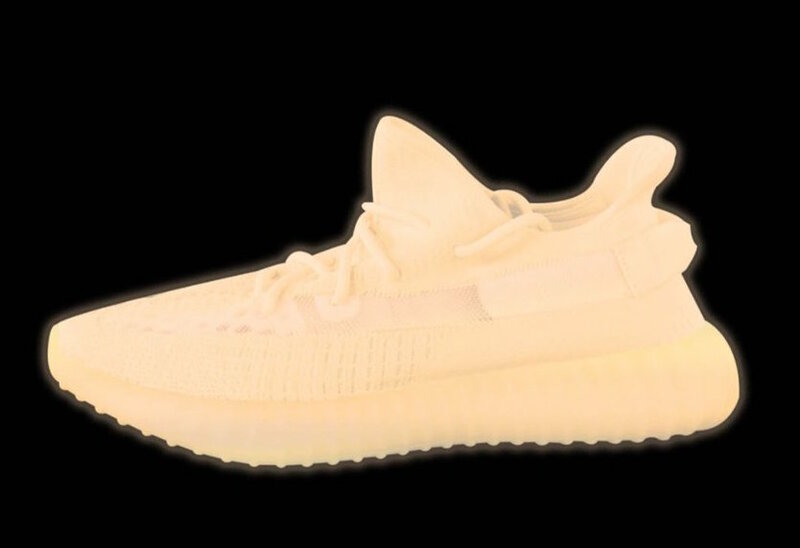 Apparently, Kim was trying to convince daughter North to wear her “Butter” 350 V2’s by telling her they would glow in the dark before the West heir turned off the lights and disproved the lie. Kanye supposedly overheard the exchange while on the phone with his wife, telling his oldest child “Don’t worry I will make them” to put her at ease. Given this backstory to the colorways, both are expected to launch in full family sizing. There is no word yet on when these Glow in the Dark adidas Yeezys are set to debut, though given the simple mock-up images they are likely some ways away. The retail price for these pairs will likely be the standard $220 as all Yeezy Boost 350 V2, and launch from a variety of retailers. Check out the official images below for a better look at the vibrant new Yeezy Boost colorways, and stay tuned to JustFreshKicks for more Yeezy news. The post Kanye West Shares Images of Two New Glow in the Dark adidas Yeezy Boost appeared first on JustFreshKicks.